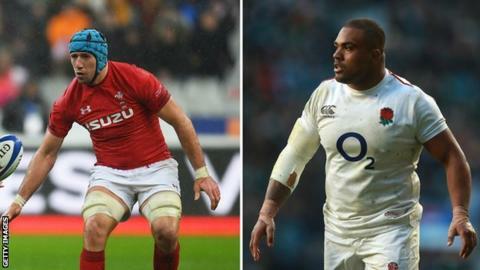 Wales v England: Six Nations higher or lower quiz - which player weighs more? Wales back row Justin Tipuric or England prop Kyle Sinckler... who weighs more? When Wales face England, it's generally a pretty physical encounter and Saturday's match in Cardiff was no different. The prize for the heaviest pack of the opening weekend of the Six Nations went to England, weighing in at 146st 3lb. Wales weren't too far behind at 142st 7lb, but how do the individual forwards stack up against each other? Have a go at our quiz to find out. If you get a question right, you move to the next one. If you get it wrong, you go back to the start. Can you make it to the end? * weights taken from the official team websites.